This is the third analysis in a series that will run until the end of the campaign, taking an in-depth look at where the polls stand in every region of the country and which seats are up for grabs. Check out the last instalment, where the spotlight was on the Prairies. Election after election, the electoral map of southwestern Ontario has become a little more blue in recent years. But a region that has swung to the Conservatives may be swinging back, and both the Liberals and New Democrats are poised to take advantage. Southwestern Ontario, including the Hamilton region and the Niagara Peninsula, was won with ease by the Conservatives in 2011. The party won 23 of the area's 31 ridings, garnering 47 per cent of the vote against 28 per cent for the New Democrats and 20 per cent for the Liberals. The NDP won seven seats and the Liberals took just the riding of Guelph. The Greens garnered just under four per cent of the vote in the southwest. The New Democrats dominated in Hamilton and Windsor, while also winning a seat in London and in Niagara, but the Conservatives held sway over the rural parts of the southwest, as well as the cities of Kitchener-Waterloo, Niagara Falls and most of London. The Conservatives are unlikely to have such electoral luck this time around, however. Although the region has been boosted by two seats following redistribution, the party is on track to lose some ground. Polling that singles out the region is hard to come by, but those polls that have been conducted in southwestern Ontario in 2015 have suggested a three-way race. Based on provincewide trends, however, we can estimate that the Conservatives are sitting on around 40 per cent support, with the NDP at 29 per cent and the Liberals at 27 per cent. This represents a swing of about seven points from the Conservatives to the Liberals, opening up many seats to a change of allegiance. Current projections award the Conservatives 21 seats in southwestern Ontario, with the NDP holding seven and the Liberals winning five. But there are many more seats at play. The Conservatives have only about 12 seats in which they can be considered safe, though they could potentially come out ahead in as many as 26. The following is a list of ridings that each of the parties could pick up on election night. Favourable gains are those in which there is a good chance of the party winning them, potential gains are those in which the results may be close, and marginal gains are seats in which the party has an outside chance of winning. The two new seats added to the region. The Conservatives are in a strong position to pick up the two new seats added to the region, which were created in parts of the province that the Tories won handily in 2011. But they also have an opportunity to pick up seats at the NDP's expense, particularly around Hamilton and Niagara. 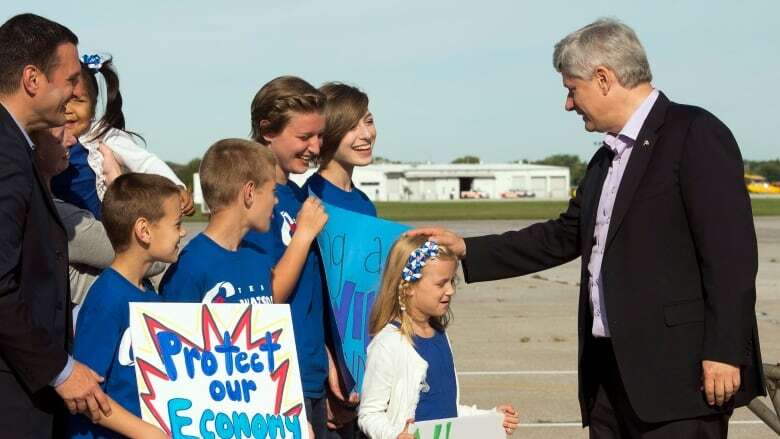 A very good night for them would see them holding onto their urban seats in London and Kitchener-Waterloo. A bad night would see them reduced to the rural parts of southwestern Ontario, along with the cities of St. Catharines and Niagara Falls. For the New Democrats, who are safe in five ridings and could plausibly win as many as 15, their gains in the southwest are all about expanding out of their isolated seats in the region. Gains in Kitchener and London would be key for the New Democrats, as well as winning seats in the far southwest around Windsor and Sarnia. Another seat to keep an eye on would be Niagara Falls, which the provincial NDP won by a wide margin in the 2014 Ontario election. Recent victories in London West and Kitchener-Waterloo at that level of government should also help their chances in the region. A strong night for the Liberals, safe in one riding and in play in nine, would see them regain some of the seats they have held in the past, particularly in Kitchener-Waterloo and London. These cities may be home to some of the tightest races in the country on Oct. 19. Riding-level polling by Environics has shown all three parties in a very close race in the ridings of London North Centre and especially Kitchener Centre. London West should also be on the target list for all three parties. Southwestern Ontario is somewhat emblematic of the three-way race throughout the country: the Conservatives strongest in the rural areas, the Liberals and New Democrats in the urban centres, and the tightest battles occurring where the two meet. Expect many more visits from the leaders to the region. Election Pollcast: How should the media handle party polls?